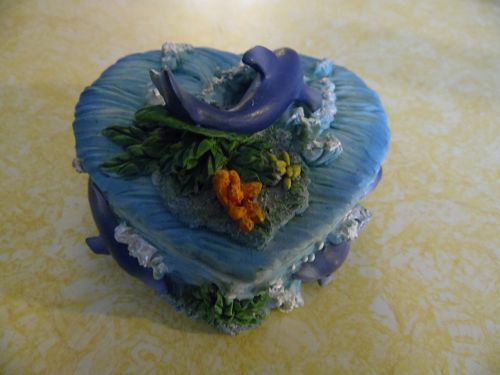 Pretty heart shape trinket box made of resin and hand painted detailing. Large dolphin on top, and has ocean scene around the bottom part edges with dolphins. 1 1/2" tall plus the dolphin, and is about 3 1/4" wide. Great condition. 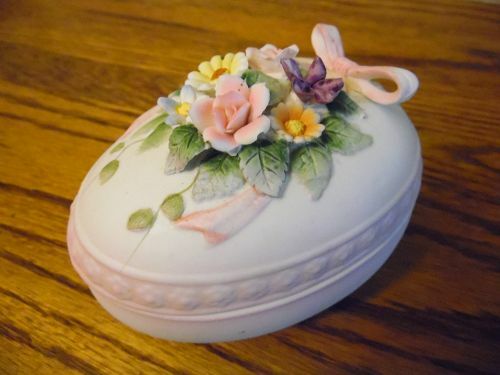 Sweet adorable hand painted porcelain trinket box for those special little things. This one would make a perfect gift for Christmas, perhaps with a special piece of jewelry for gift giving. Measures 4" tall. Hinged lid. No damages. 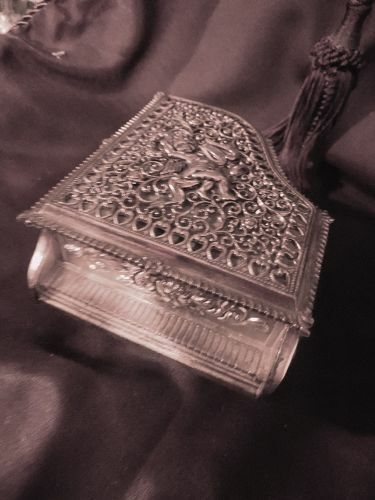 Amazing old art noveau jewelry casket is made of spelter with a bronze patina and stands on elegant curved legs. 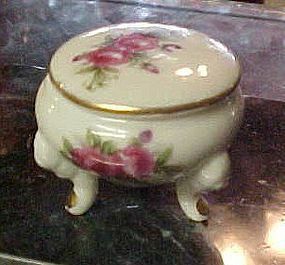 Measures 4.5" tall, 4.5" wide by 3.25". No lining. 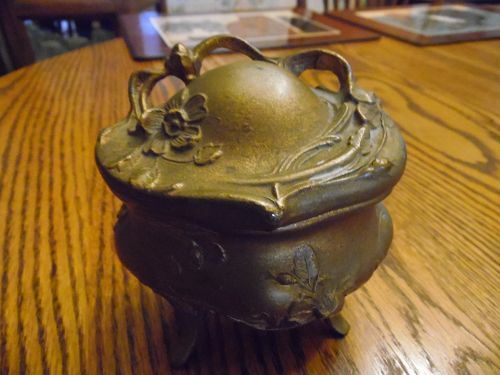 No makers marks, Ornately decorated , even on the bottom. Nice condition with no chips or flaking, Hinged lid works good. 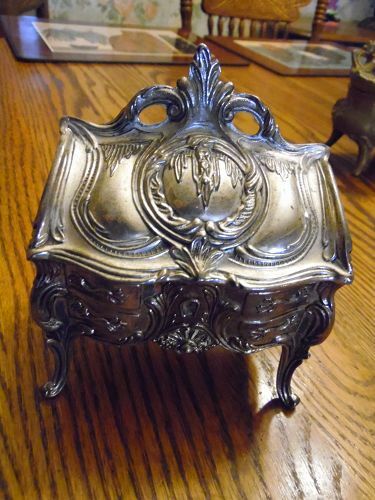 Amazing jewelry casket is silver plated and stands on elegant curved legs. 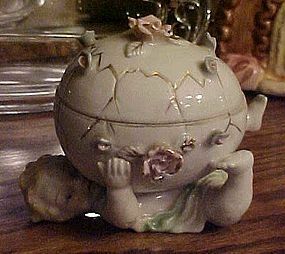 Measures 5" tall, 4.5" wide by 2 1/2". Wine color velvet lining. 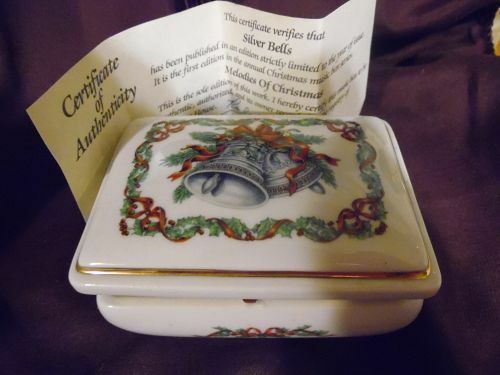 No makers marks, Ornately decorated , even on the bottom. Nice condition with no chips or flaking, Hinged lid works nicely too. This could be polished if you like but it is being sold with it's orininal patina. Phil a Mignon master grilling chef trinket box opens and has tiny hamburger inside. 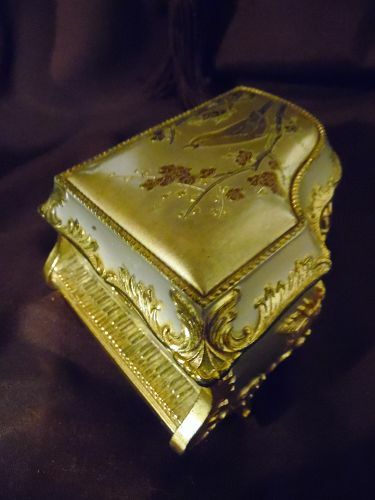 made of porcelain and has nice brass hardware for the lid, bottom, and clasp hinge backing 6" X 2.5" approximately. These have been discontinued and I have 3 different chefs I will be listing. Pristine condition. 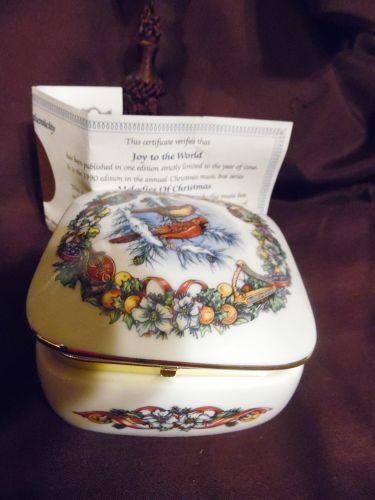 This beautiful Melodies of Christmas Music box plays Joy to the World. It is a 1990 Heritage House Limited Edition piece for the year 1990. The dimensions are 3 1/2"X 3 1/2" wide x 2" tall. Music is inside the box and is key wound. Limited edition for the year 1985 only. Plays Joy to the world. 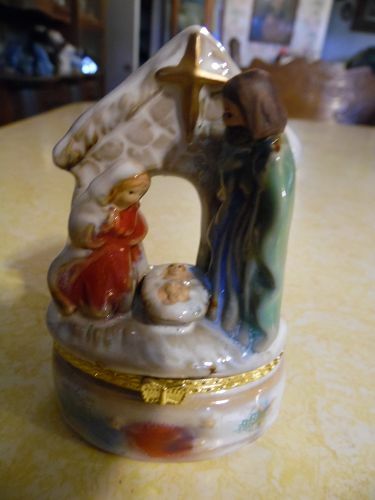 Wonderful condition and no damages and has original certificate of authenticity. 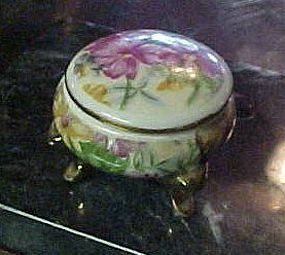 Pretty little porcelain trinket ring box is just ideal to keep that special little piece of jewelry in. 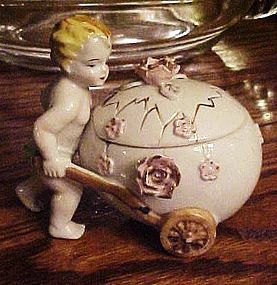 Made of porcelain and decorated with pretty roses and god trims. Original EW Japan sticker on the bottom Measures just 1 1/2" tall and is in perfect condition. 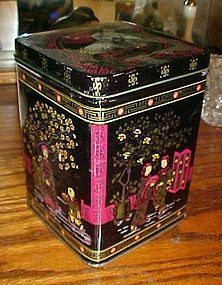 Art Nouveau Antique Gloves Box Flemish Art Pyro Burned Wooden 10" long box. Ladies head profile and the word GLOVES with flowers. Inside has same pattern but not colorful like the top outside.Good condition with no chips cracks or repairs, and hinges work well.